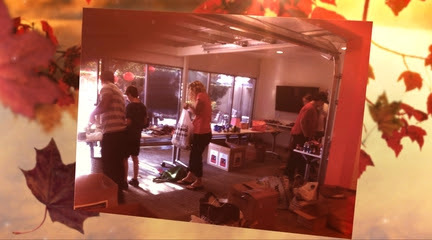 This Saturday saw the Community of Orange County come together at +HomeAid Orange County offices in Irvine. +HomeAid Orange County is the philatorphnic arm of the Building Industry Associaton whose sole aim is to combat and end homelessness in Orange County. It spreaheads a number of crucial initaitives that we here @ #Outsiders have endeavored to support over the last number of years. This month was the culminiation of their latest initiative--Homeless Awareness Month. Throughout the Month, organizations & individuals collected donations which were then counted, sorted and readied for care packages to be prepared. 284 Care Packages along with other individualized care packages were prepared consisting of basic hygiene along with a snack bar so that the "love in a bag" could be conveyed to those who are less fortunate during this joyous holiday season.